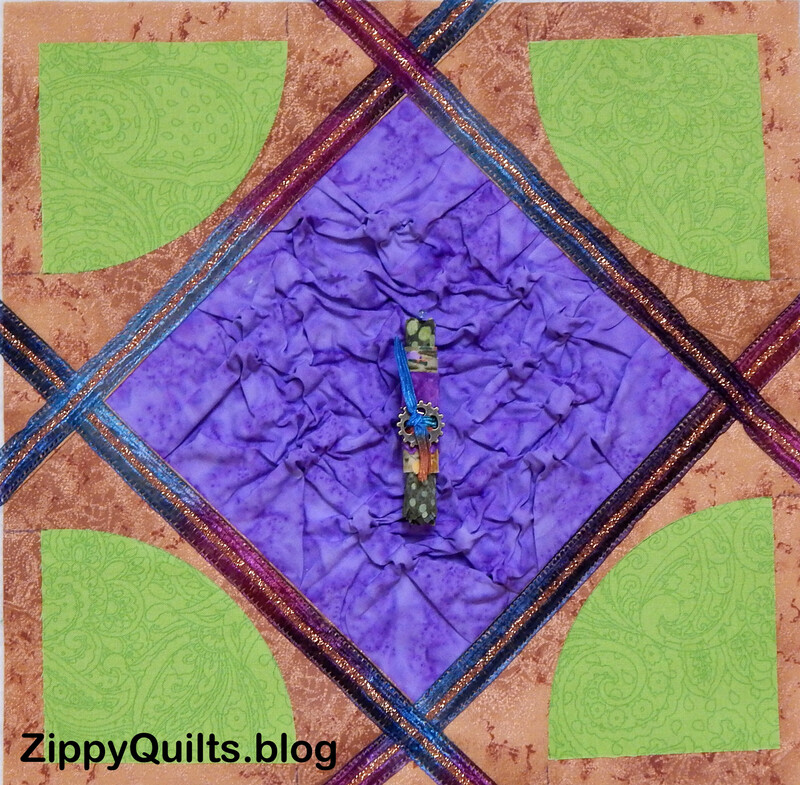 This entry was posted in Quilting and tagged quilting by zippyquilts. Bookmark the permalink. I share your opinions! A little of everything and almost any day is a good day if I learn something. I have a What-Was-I-Thinking? Bin that is equivalent to your Fizzle Drawer. It looks like you had a busy and productive year. Looking forward to seeing what 2019 brings. I think it is a great idea! Someone’s fizzle may be another person’s dazzle! I love your dotted fizzle! Don’t give up on it! I vote for this! Keep trying! 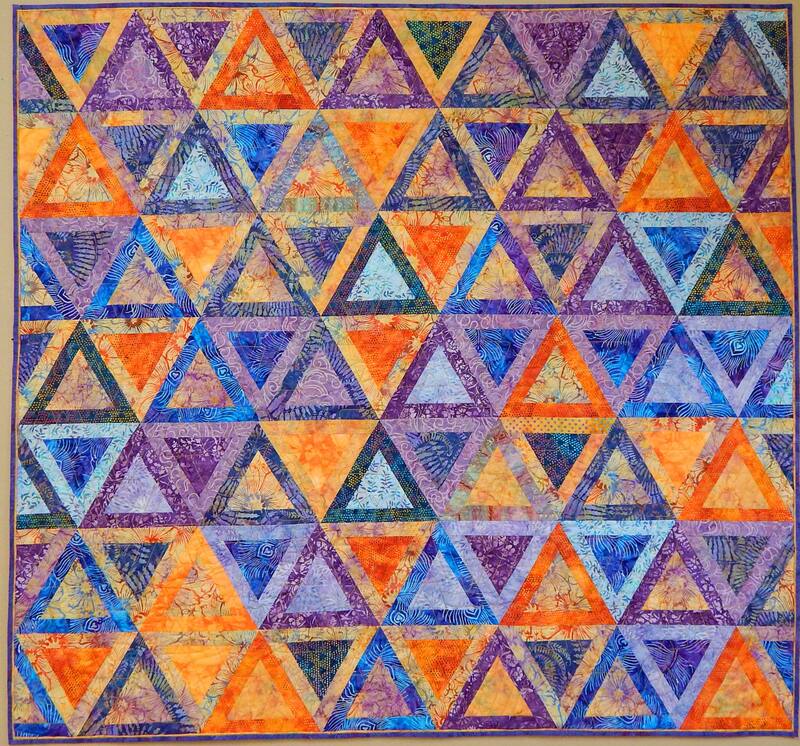 I have frequently wondered why someone didn’t like a quilt that they fussed about. Of course sometimes I have agreed. LOL. I’m with you on this! Thanks for the shout-out. It was fun seeing your list. 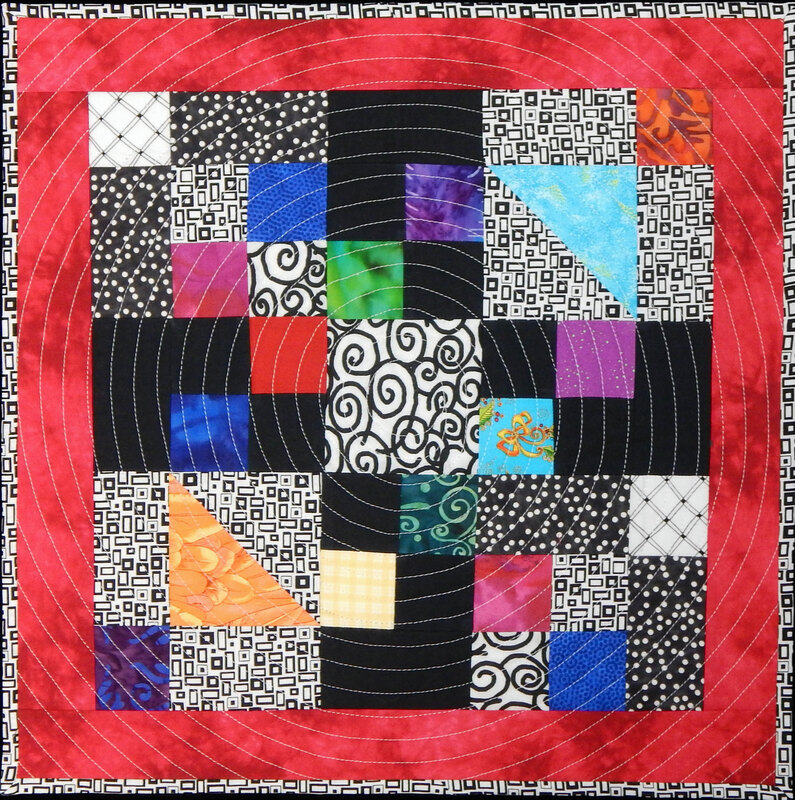 I love the mini-quilt for Jill and the donation quilt with the concentric squares. And finding a useful thread? Wow what a difference that can make! I piece with So Fine, too, and have little patience for heavier or cotton thread anymore. Also I mentioned in my list using Microquilter (also from Superior) for quilting, where you don’t want the thread to show, just texture. 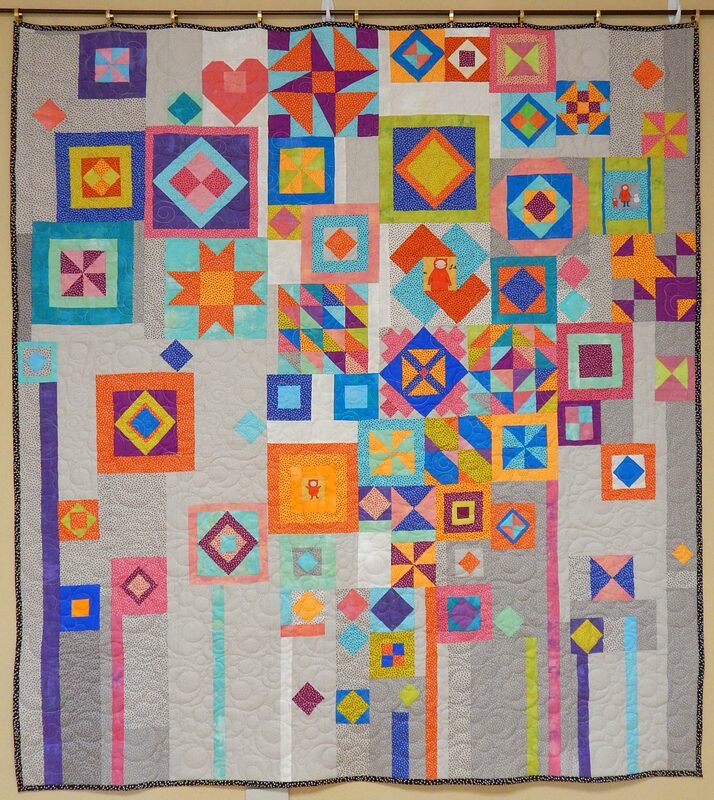 I’m finishing a quilt now with it and really love it. I just got some of that microthread and used it to stitch in the ditch. Alas, it still shows when I wander out of the ditch, but otherwise it disappeared very well. It still shows, yes, but less!! 🙂 And I’m getting less concerned about my mis-steps like that all the time. Just keep going, finish it up, and the texture is what will show the most. I really enjoyed your post on lessons learned and re-learned. Thank you for sharing. Thanks for visiting and commenting, Isabella! 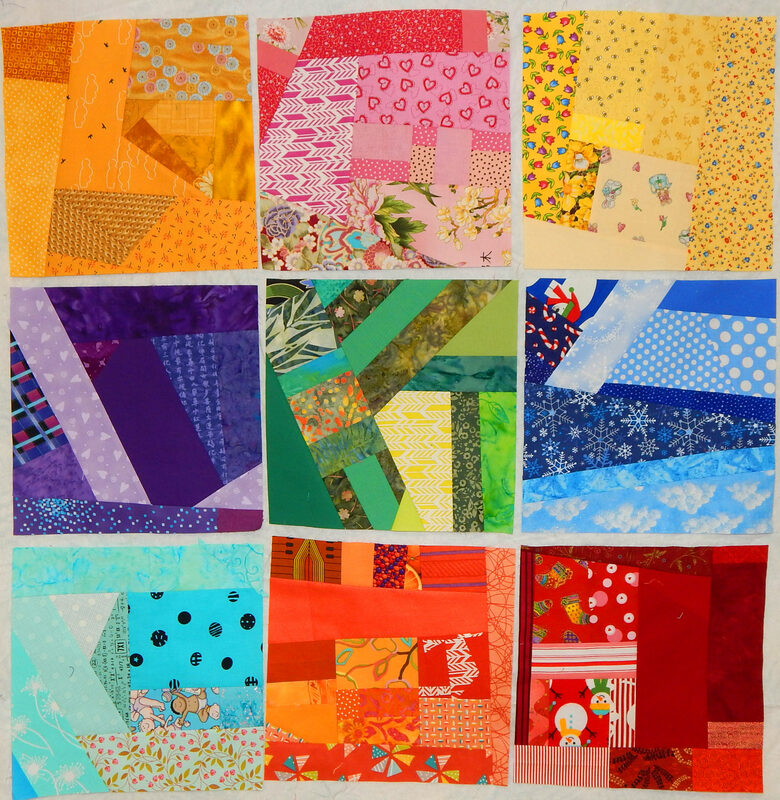 Such beautiful and cheerful quilts! And I have that Michael Miller print, thanks to you, and I see it every day, and I love it! I may never use it in anything, I love it just the way it is. And I didn’t even mention the two paper pieced HST systems I tried and discarded! I enjoyed your year recap. I love the term the “fizzle drawer”! You made some beautiful and artful pieces! Someone advised me against making Gypsy Wife but I love your interpretation of it! I advise against as well. Directions are pitiful. Design your own. 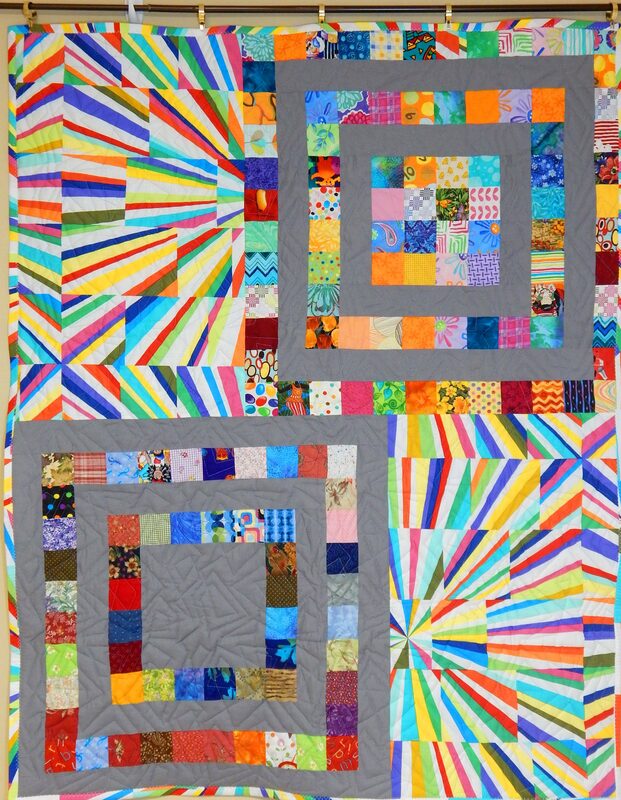 I love that little quilt with the Michael Miller striped fabric. What a great combination. Is that fabric still available? Do you remember it’s name? This is giving me renewed love if stripes and why straight of the grain can be ignored to great effect. Thanks! It was Tara’s Fireworks, but came out several years ago. You can always check Etsy or do a web search. It is a great fabric! I especially like the one made from small pieces, but I am relieved to hear that some of what appeared to be very narrow small pieces was a print! 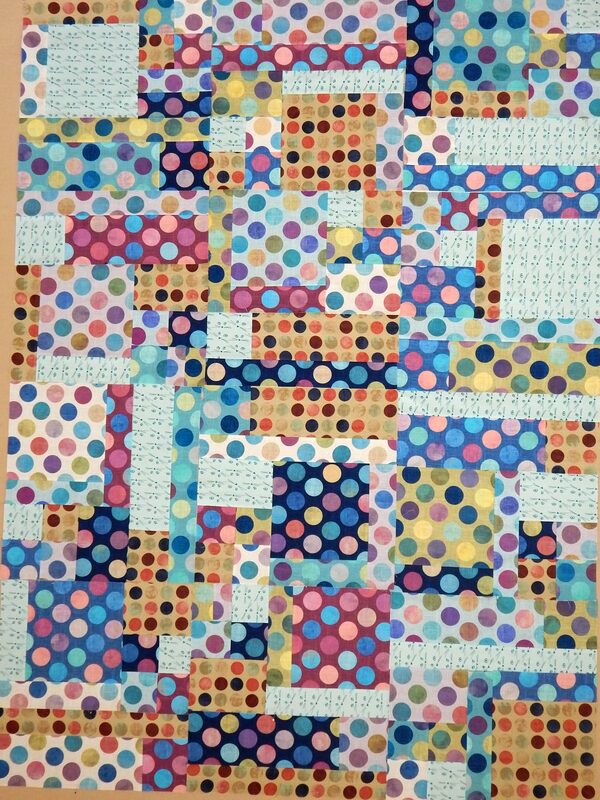 Yes, it was quite enough to piece those concentric squares without the stripes too! Ah yes, your ‘fizzle’ drawer from a great-aunt if I remember correctly? It must be getting filled to the brim! HA! 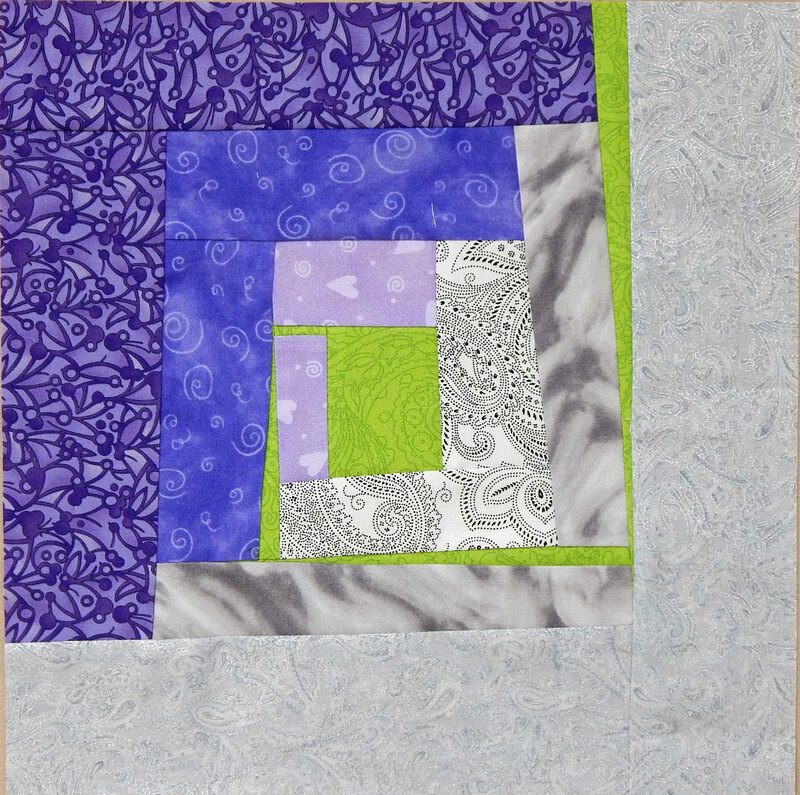 Love these ideas and ‘lessons learned’…the purple center piece (first photo) is it crinkled via the steam iron shrinking trick with that special fusible? 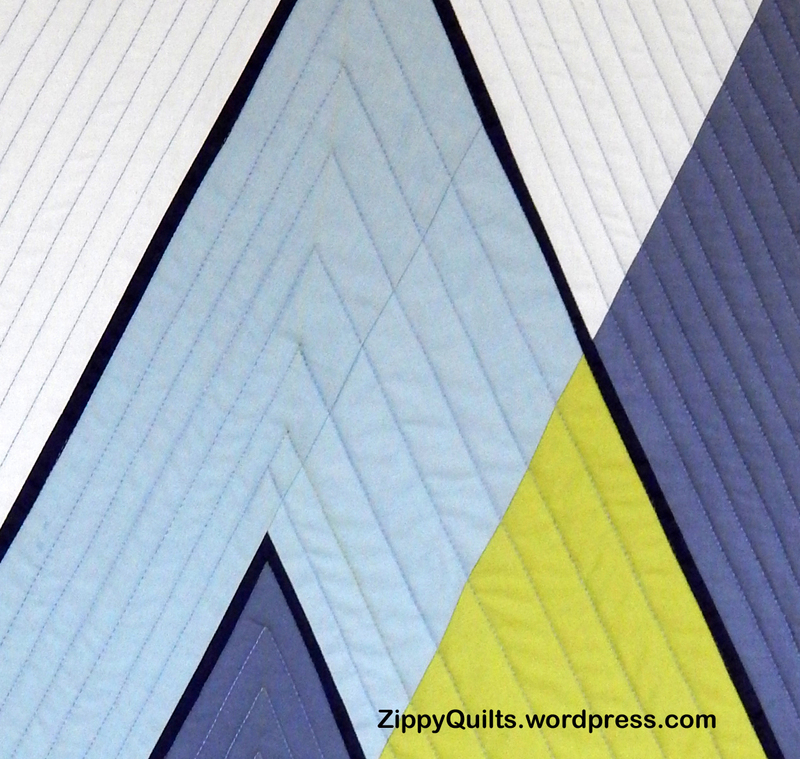 You’re all set to start in on this New Year’s quilty adventures. Hi Laura, thanks for reading and commenting even if you aren’t blogging at the moment. The wrinkled fabric was made by pushing damp fabric into a cookie rack, drying it, then removing it and fusing interfacing to the back to hold it. We all did it together as a guild program. Thanks! The Rosalie Dace workshop was fun, and I want to get back to some of her ideas in my work.